Whether as telecommunications or power systems, networks are very important in everyday life. Maintaining these networks properly functional and connected, even under attacks or failures, is of special concern. 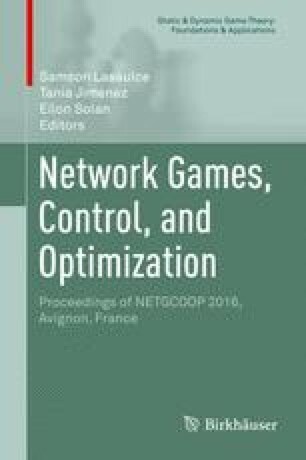 This topic has been previously studied with a whole network robustness perspective. With this perspective, whenever a node is removed the network behaviour is measured, and given a strategy all the nodes in the network are removed one by one. Then the final measure corresponds to the average of the measured behaviours after each node removal. Here, we propose two alternatives to well-known studies about the robustness of the backbone Internet: to use a supply network model and metrics for its representation (we called it the Go-Index) and to use robustness metrics that can be calculated as disconnections appear. Our research question is: if a smart adversary has a limited number of strikes to attack the Internet, how much will the damage be after each one in terms of network disconnection? Our findings suggest that in order to design robust networks it might be better to have a complete view of the robustness evolution of the network, from both the infrastructure and the user’s perspective.